Sheep Game is a family friendly game to be enjoyed by young pups and old dogs alike. It is free from any violence or swearing. Whilst you can play on your own to sharpen your skills against the robo dog, Sheep Game is best played with friends gathered around. Up to four people can play head to head. Don't have four controllers? 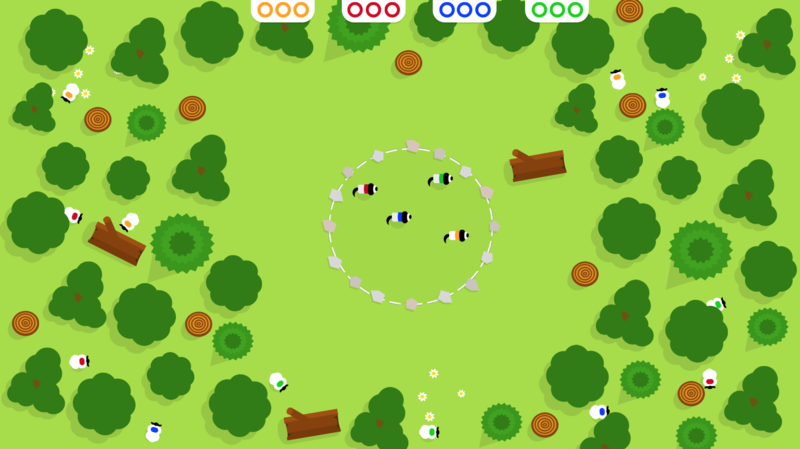 No problem, Sheep Game supports four players using two controllers. 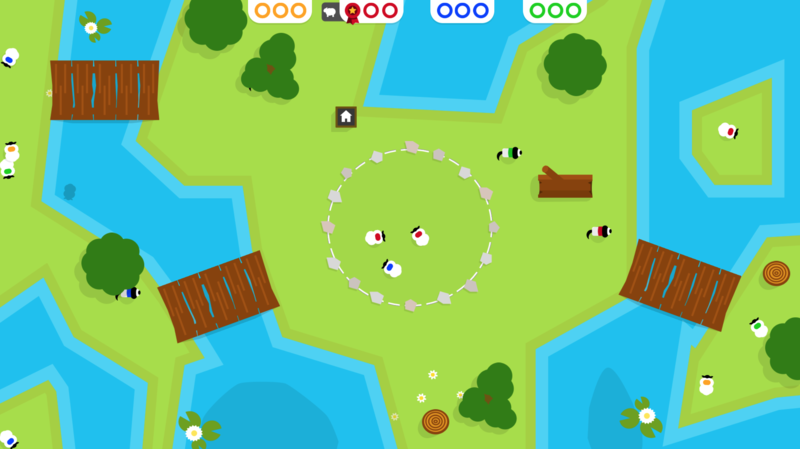 Sheep Game is easy to pick up, you'll have your dog running around in no time, but keeping those sheep under control will take time to master. Having trouble with your rivals? Use a well timed power up to freeze them in their tracks or give your self a speed boost to tip the balance. 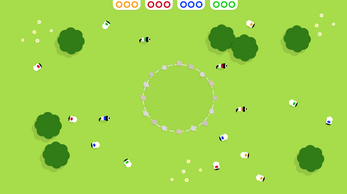 Sheep Game requires game controllers.